It's been a long time since I first found her, about 1968 I think and undoubtedly hearing her first on John Peel's radio show, Top Gear. At the time I was living at home and had not yet found my way. I had struggled at school and drifted into a nothing job in a local shop. 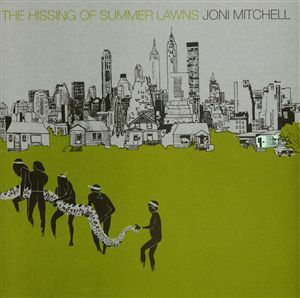 Somehow or other I latched onto the folk sound of the early Joni Mitchell, I saw a great Joan Baez concert on the BBC around that time and Joni sounded similar. But I lived in an isolated rural community and beyond buying records I was going nowhere. Soon, though I had the good fortune to get fired from my nothing job and this finally kicked me into life. I joined the Air Force and started on the technical journey that has been my world ever since. I bought several more Joni Mitchell records as soon as they were published. Joni's Clouds was published in 1969 and I joined the Air Force in September of that year. While Joni was exploring and singing about the counter culture of Southern California I was immersing myself in the conservative world of the British military. But this was not all bad, despite pleading from the USA the British government of the day refused to get involved in the Viet Nam war. There was little danger of my new military career taking me into combat. I was free to learn engineering. And, in my time off, free to explore a little of the counter culture as far as it existed in the UK. August 1970 saw me, Joni Mitchell and a totally breathtaking cast of massive stars at the Isle of Wight music festival. Isle_of_Wight_Festival_1970. I was a little conspicuous, with my military haircut and actually I was on my own. But my attachment to Joni Mitchell continued. I bought her third album, Ladies of the Canyon in 1970 but then, for a while, for reasons unclear, we parted! Our paths would not cross again until the end of the 1980's when I met Cathy. Cathy is a musician and a Joni Mitchell fan and she owned the later albums from the 1970's including the magnificent, Hissing of Summer Lawns which I came to adore. 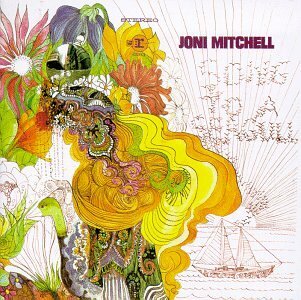 Joni released this album in 1975 and it is stunning in it's complexity. Songs like the Boho Dance continue to intrigue me 40 years later. Somehow, even with cryptic lyrics, she still creates little movies that run in ones head. Her wonderful voice, her perfect phrasing and the deep, multilayered textures of the music make listening to Joni a remarkable experience. So it's poetry set to music! No, it's much more than that. The cadence and colour of the music provide much more than a reading. Joni is the master of subtle, multidimensional emphasis which allows one to keep finding more and more in the music. Somehow, in Joni, fate has contrived to combine beauty, a remarkable voice and a huge writing talent for both words and music. And yet I'm sure even all that is not enough to make a world class star. Joni also has a will of iron, a will that kept her going after a childhood polio attack and kept her afloat and working in a business where so many fall to drugs and other phycological problems. As the 1970's progressed Joni's music became more and more complex. Her fame gave her licence to experiment and she left some of her earlier fans behind. But for me Joni Mitchell now belonged to Cathy and when we parted I let Joni Mitchell go too. But relationships come and go but the music remains, waiting to be heard, when we are ready to find it again. This lovely concert, Joni and James Taylor (from 47 years ago today) is introduced by John Peel. Here Joni is vocally at the height of her powers though her music and lyrics have not yet reached their full complexity. But that's OK, through her recorded works we can travel in time and follow the trajectory of Joni's remarkable talent and relive it as often as we want.